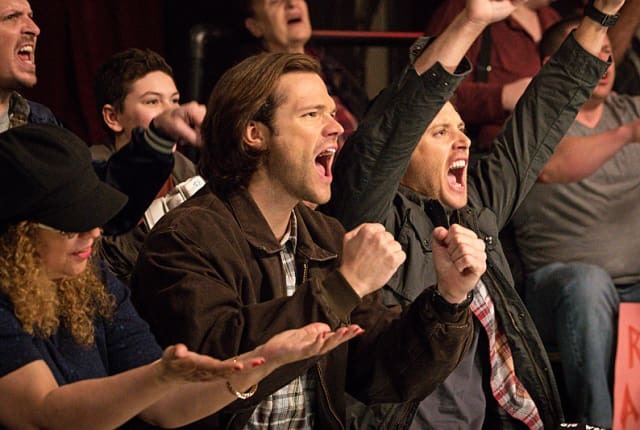 Watch Supernatural Season 11 Episode 15 online via TV Fanatic with over 7 options to watch the Supernatural S11E15 full episode. Affiliates with free and paid streaming include Amazon, iTunes, Vudu, Netflix, YouTube Purchase, Google Play, and Verizon On Demand. The guy get in a tickle fight with Edward Scissorhands? Permalink: The guy get in a tickle fight with Edward Scissorhands? You're Crowley, and the devil should be afraid of you. Permalink: You're Crowley, and the devil should be afraid of you.